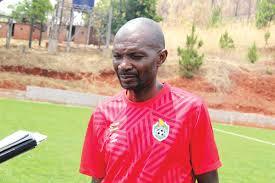 Former Zimbabwe national football team coach Callisto Pasuwa was yesterday convicted and fined $150 by a Chitungwiza court for illegally occupying land in Rubatika Village, Seke. Pasuwa pleaded not guilty when he appeared before Chitungwiza magistrate Ms Yeukai Chigodora, but was convicted because of the overwhelming evidence against him. He now has to pay a $150 fine or spend 30 days in prison. The gaffer claimed that he bought the land through a chief, but his name was not found in the council’s database. Prosecutor Mr Norman Koropi proved that on November 8 last year, Manyame Rural District (RDC)’s security sergeant Mr Emmanuel Watyoka was conducting assessments in Rubatika Village, Seke communal lands, when he visited Pasuwa’s home. He asked the former Dynamos coach to produce an allocation letter or any approval that justified his occupation of the land. When Pasuwa failed to produce the documents, Mr Watyoka made a report at Dema Police Station, leading to the ex-footballer’s arrest. Meanwhile, a Zimbabwe Broadcasting Corporation (ZBC) Radio Zimbabwe worker has appeared in court for maintenance arrears worth $10 600. Jabulani Ncube (37) was dragged to court by his former wife, Pamela Maruta (35). He appeared before Chitungwiza magistrate Mrs Blessing Murwisi for contravening Section 23(1) of the Maintenance Act. Ncube pleaded not guilty and the case was postponed to March 23. The prosecutor, Mr Tendai Katonha, alleged that on September 9, 2013, a Chitungwiza court ordered Ncube to pay $200 monthly towards the upkeep of his two minor children.